Sunderland motorists will save more than 2 hours a year stuck in jams thanks to more than £40.5 million of government funding. Roads Minister Jesse Norman has announced that a stretch of A1231 road between the new Northern Spire bridge and the city centre, will be upgraded to a dual carriageway – saving road users 2.5 minutes a journey. The £70.2 million project is the third phase of improving journeys along the Sunderland Strategic Transport Corridor and will support regeneration of sites both sides of the river as well as 1,000 new homes. "The government is investing record amounts to improve travel in towns and cities across Britain. "Sunderland is a great city with a great future. We hope the schemes we are funding will help to unleash its potential – creating jobs and enabling new homes – and turbocharge the Northern Powerhouse." The corridor will provide a high quality dual carriageway link between the Nissan car manufacturing plant, Enterprise Zone, International Advanced Manufacturing Plant (IAMP) development and the city and Port of Sunderland. 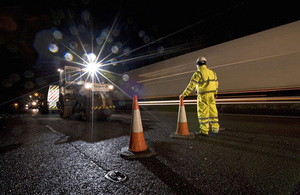 Today (21 March 2019), Highways England started work on the £125 million Testos roundabout scheme, improving links to the IAMP. Further up the A19, the Triple Decker Roundabout at the A1058 is nearing completion. These schemes will all help improve journey times and safety. Transport Secretary Chris Grayling last week announced £10 million to improve cycleways and bus routes across the north-east, as part of the government’s Transforming Cities Fund. More than half of the funding will provide improvements for cyclists, including new route connections in Sunderland. This is the first round of the £1.3 billion fund for 12 cities across England to enhance commuter routes into business centres to unlock productivity and boost the economy. This week, the city was also invited to apply to be one of four new Future of Mobility Zones. The £90 million competition will see new transport technologies piloted to see how they improve people’s journeys. The Nexus Tyne and Wear Metro has also benefited from £337 million to purchase brand new trains and build a new maintenance facility. This will give passengers more seats on more comfortable and spacious services.